I know my website has been very quiet these past two weeks, but life has become rather hectic!This time of year is very busy, between confirmation preparation and trying to organise the school tour, and trying to stay on top of all the DIP paperwork, it’s all very busy indeed. Not to mention this beautiful weather, which makes it impossible to stay inside on the laptop! 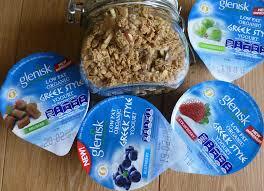 Glenisk have very kindly offered an amazing hamper for one lucky teacher! It contains lots of vouchers for every dairy product imaginable, lunch bags, an apron and a recipe book! Everything you need to keep yourself healthy and fighting fit this term! As per usual, to enter, like and share the Facebook link.